I am happy to announce, for the first time, Spring of Hope’s School for the Deaf got to be a part of the Uganda National Association of the Deaf (UNAD) awareness week September 22nd -25th. This was a week of celebration for the deaf culture in Uganda, and it was a time to declare the rights of deaf people in this country and all over the world. For Emma, Geoffrey, Falida and Ruth, four of our deaf kids in “Spring Of Hope”, this was a time of hope, encouragement, and finding their true identity in this world. 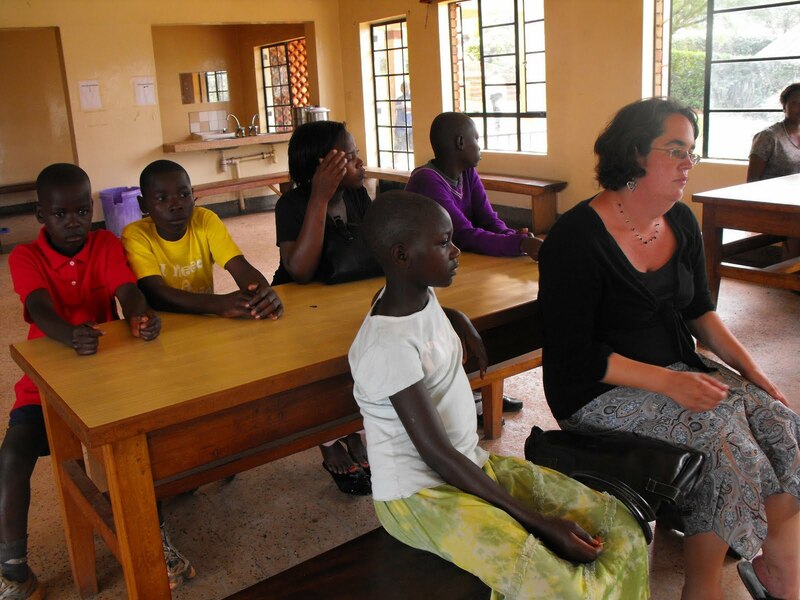 Not only did they get to experience the world outside their village and outside the school walls, but they got to meet and connect with other adults who are deaf. The first day we went to a hospital where a few of the UNAD members taught the nurses and doctors basic sign language. Later on the kids got to watch videos in Sign language, and receive a shirt with the UNAD logo. We took the kids to a restaurant in the evening where they got to chose what they wanted to eat along with a soda. On this day the kids got to experience the real hustle and bustle of Kampala, and learn to steer clear of cars when crossing the street. On the second day we all helped out with community service by cleaning up the town in central Kampala. It was great for the kids to see that when they work together towards a common goal that they can make a difference. Later on that day the deaf committee of UNAD put up a huge tent in Central Kampala and explained to the hearing people of Uganda what deaf culture is and that even though they are deaf they are not stupid. They can communicate just as well as hearing people by using their hands to talk and their eyes to hear. It was encouraging to see the hearing people of the community get involved with the deaf culture. You could really see on their faces they wanted to learn and know more, so when the deaf people started teaching some signs the people where really excited to learn. On the Third day we took the kids to a museum which emphasized the history of the different tribes in Uganda. It was a blessing also that Steven, one of our deaf friends, decided to join us because as we would go to each hut in the museum he would explain to the kids the history of each tribe. Later on that day we went to the deaf sports event were we watched basketball, football (soccer) and netball (volleyball). We left early from there because we wanted to take the kids out for ice cream. I think they liked the ice cream, however, they were complaining that it was too cold to eat. I think that’s funny, I never really thought about how cold ice cream was or maybe I am just used to that temperature being put into my mouth whereas they probably have never tasted anything that cold in their life. Every night at the hotel my goal was to get the girls to bed at a good time, however talking before we went to sleep always had to happen, but it was good because I got to know them better through signing and gesturing. 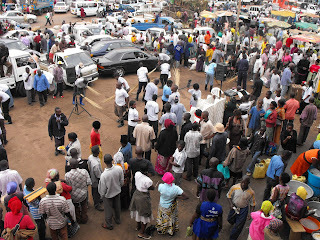 The last day we all gathered in a line and we marched through Kampala promoting Deaf Awareness Week. We had a band playing music in the front and other groups of the deaf community were holding up their banners such as a deaf schools, organizations or clubs. By the time we got done marching we all were hot, tired and thirsty. We went to the main event later where they had different important people speak from the World Federation of the Deaf (WFOD), and also we got to experience the Ugandan deaf drama and their cultural dances. 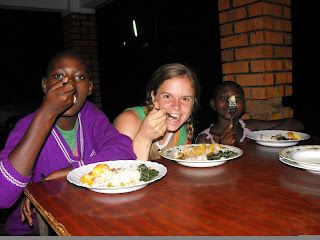 After we ate dinner we all went back home to Jinja. I believe that this experience was one that the kids will never forget! Not only did they get to see a new district and a different way of living they also got to learn that they do have a place in this world and through that finding their true Identity. Just the other day I showed them pictures of their time in Kampala, and it really made them excited as they reminisced with one another about different events that happened. By showing these pictures to them it also gave them an opportunity to show and explain to the other deaf kids in the school what they did in Kampala. Later on there will be an opportunity for all the deaf kids to get together and share stories for their parents at the end of the school term.